Before we close out this week's activity here at SuperPhillip Central, we have a review of a game that released last month on iOS and Android devices as well as PC. It's Red's Kingdom, a unique take on the sliding puzzle mechanic found in other games. Is it fun, or will it drive you nutty? Let's find out with the SuperPhillip Central review. Sometimes developers need not come up with a wholly brand-new gameplay mechanic to create a novel experience. Sometimes it's just taking one mechanic and introducing it with some new dressing or with a completely different structure than the norm to create a fresh experience. That's what Cobra Mobile's Red's Kingdom does, and while it isn't totally successful with their approach, the overall game is worthy of checking out, especially for its low price. The main gameplay mechanic of Red's Kingdom isn't that new of an idea. You control Red by swiping in one of four directions, and Red rolls continuously in that direction until he hits a solid object. As I said, the idea isn't really novel, but the structure of the game is. 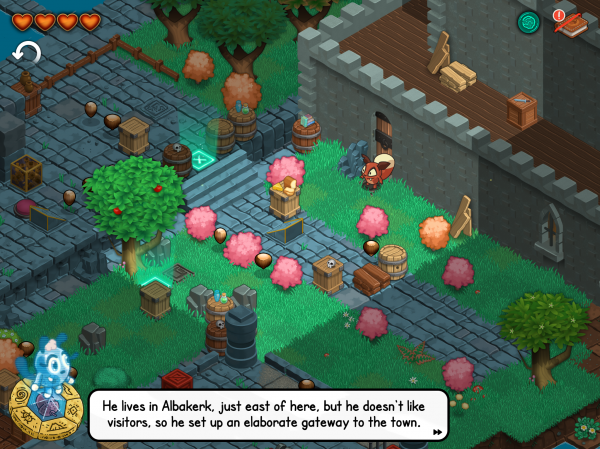 Instead of being a linear level-based affair, Red's Kingdom takes place in a wholly interconnected world. While this quite cool, it also becomes one of the main issues with the game, which I'll cover later. 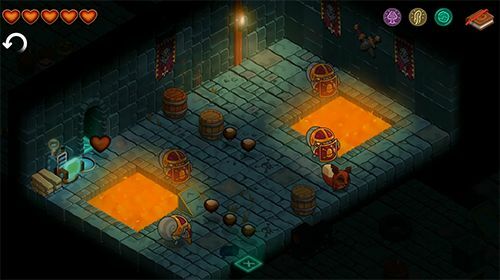 Red's Kingdom has players moving from room to room, whether indoor or outdoor, by finding the correct path through them. This means to clear each room you'll have to do the correct combination of rolls to reach the exit. Sometimes there are multiple exits to take, which offers some exploration into the fold. Often, going off the beaten path can have you come across hidden goodies like a heart in a jar, where collecting three of these increases Red's health by one heart. The beginning of Red's journey sees him rolling his way to this castle. Starting off, you simply roll around rooms until you find the right means to reach its exit. As you go through the game, you'll find that the developers add multiple new hazards and obstacles into the game to keep things interesting and engaging. These range from buttons that open doors, levers that alternate between raising and lower red and blue blocks, puddles of sticky tar that stop Red right in his tracks no matter if there's a solid object nearby or not, and ramps that send Red flying over chasms. There is a Metroid-style influence also found in Red's Kingdom. In the game, Red will come across certain items that allow him to access previously unreachable areas. For instance, early in the game Red will meet up with a fellow squirrel who will give him a medallion. With this medallion Red is able to deal damage to enemies that were once invincible to his rolls. Attacking enemies is as easy as rolling into them, but if you're only doing this, you also take damage. Thus, there is a cool technique the game teaches you, and that is to tap the screen right before Red rolls into a given enemy to deal a critical hit and take zero damage from rolling into the foe. Another item grants Red the power to roll into pink plants that spit him out to reach otherwise inaccessible locations. before barreling into them, Red will take damage. For some of the secret goodies to be found in Red's Kingdom, you'll have to travel back to previous areas to use your new acquired item or ability to get them. Here comes a host of the game's problems. For one, backtracking in Red's Kingdom isn't as simple as say, The Legend of Zelda, where you can just run through a room. Instead, Red's Kingdom requires you to essentially solve a puzzle by navigating through each room by rolling from solid object to solid object until you finally reach the exit. The requirement to resolve rooms gets very tedious very quickly. Another problem with Red's Kingdom is that many of the areas of the game look similar to one another, especially dungeon areas. 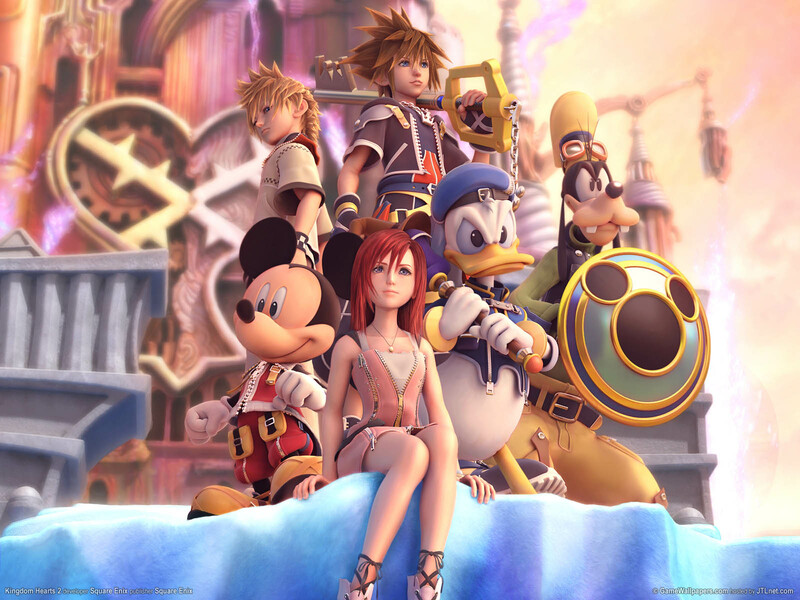 It can mighty difficult recalling which dungeon or even outdoor section of the game's overworld contains the destination you wish to go to. "Now, where was that section of the world where that one spitting plant leading to that hidden chest I'm missing?" Questions like that will occur often, and since the world of Red's Kingdom is such a maze full of annoying backtracking, this becomes a serious problem. What there is of the story is lighthearted fare that doesn't interrupt the gameplay too terribly much. All this would be fine if the save system was adequate. In its state, however, it's really not. Red's Kingdom automatically saves when you cross save icons in specific rooms. It also saves when you reach various transporters strewn throughout the world that allow you to travel to any other transporter you've already discovered. The problem with the former is that you find yourself in the wrong area of the game (again, easily done as a lot of areas are indistinguishable from one another), you can't just quit to a point from where you were transported because the game automatically saved when you rolled over a save icon-- usually one deep in an area. This means you have to backtrack all the way through an area just to reach the transporter to hopefully warp to the correct area. Red's Kingdom sports an isometric view that generally works well. However, sometimes parts of the scenery can be obscured by other objects, making it hard to get a full grip on the room you're currently in. There were more than a couple of occasions where I aimlessly rolled around not knowing what to do until I finally saw a lever that could be barely be seen due to being obscured by another object. An issue with the isometric view that I'm glad the developers got right is the ability to hold the touch screen to show dotted lines that represent all the paths Red can roll. This is crucial to use when there are multiple elevations to take in account as well as damaging hazards like enemies, pools of dangerous liquid, or spiked barrels. Having the dotted lines show what Red will be stopped by or will run into makes the isometric view much less of a bother than it could have been. For rooms with different elevations, it's good to get a grip on where Red will roll. 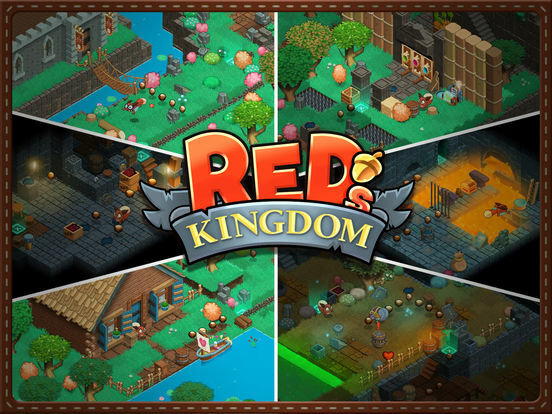 Red's Kingdom delivers a delightful visual package with 3D rendered graphics and detailed environments, whether outdoor with its lush vegetation or inside with its well done lighting effects, offering radiant auras that illuminate corners of the otherwise dank dungeons. The handful of animated scenes in Red's Kingdom are also pleasant to look at and cute to boot. What isn't so pleasant is the soundtrack. The song you'll hear the most in the game that features the bagpipe really grates on the ears after a few play-throughs. Now, imagine hearing it repeatedly as you frequent the area it plays in. 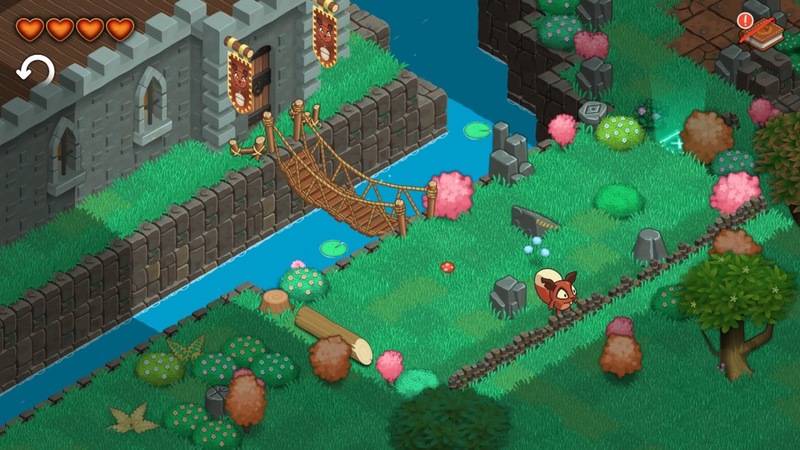 Overall, Red's Kingdom has its fair share of problems from the tedium of backtracking, the need to resolve rooms during said backtracking, areas that look too similar to one another, the maze that is the interconnected world, and an imperfect save system. However, even with all of those faults, Red's Kingdom offers an adorable adventure that will test your brain and sometimes even your reflexes. While the overworld structure of Red's Kingdom doesn't really work for a sliding puzzle game of this type, it's far from a bad game. It's just not a particularly great one. Last week we took a look at some more fantastic boss battles. Now, it's time to look at some more fantastic levels! Nearly 100 levels have been featured on SuperPhillip Central's long-running Best Levels in Gaming History series. We continue our look at magnificent, memorable, fun, and exciting levels with Volume Eighteen. Such games represented this time around include Uncharted 4: A Thief's End, Titanfall 2, and Super Mario 3D World. 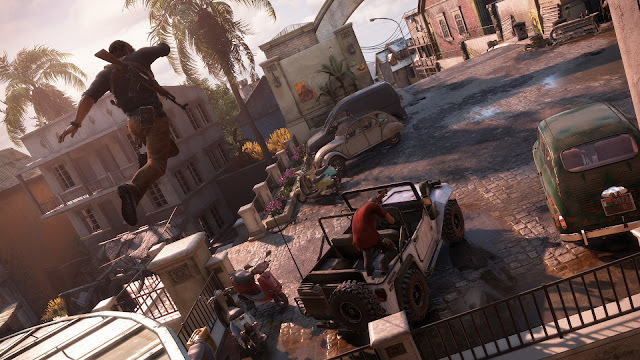 The chapters in Uncharted 4: A Thief's End can range from relatively short affairs to much more lengthier ones. Chapter 11 is one of the latter, and it's also one of the most memorable in the Uncharted series' history. While the entire chapter is quite enjoyable with the opening saunter through the busy marketplace streets leading up to the clock tower, the actual clock tower climb and subsequent unintentional destruction of said tower, Chapter 11 is not short of memorable moments. 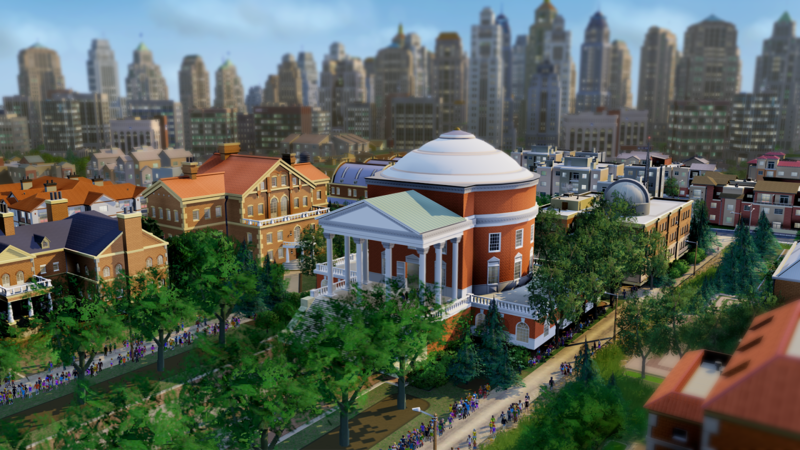 However, I'd like to cherry pick from the chapter and mention the best set piece in the game by far. 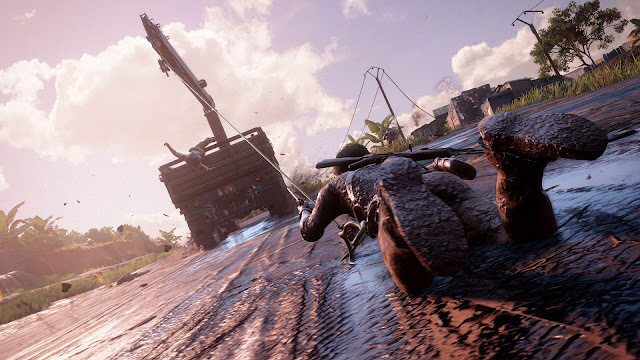 It's the convoy chase that starts with Nathan Drake and Sully racing downhill through city streets, alleyways, and on makeshift shortcuts in their jeep as a Stormfront truck with a mounted machine gun pursues and hunts them down. They make their escape from the truck by speeding down across the tops of roofs until they reach an overhang where they can see the Stormfront convoy that is chasing after Nate's brother Sam. It's up to the player to make haste down the hill, following through the trench below the roadway that the convoy is taking. Unfortunately, soon the amount of available road ends, requiring Sully to take over control of the jeep's steering and brakes to successfully stop it from careening into the ocean. Simultaneously, Nate lassos onto the hook of one of the trucks driving alongside the convoy, as he hangs on for all he's worth, Nate has to swing around beams and other obstacles or else he'll slam right into them, costing him his life. Once the convoy has crossed over the bridge, Nate holds on tight as he's pulled through the mud. He must pull himself towards the truck and enter inside its carrier to have a fighting chance against the motorcyclists and jeeps shooting at him. The entire experience is so fast paced and frenetic that you can't help but feel the adrenaline pumping throughout your body, even after playing through this action-packed sequence multiple times. 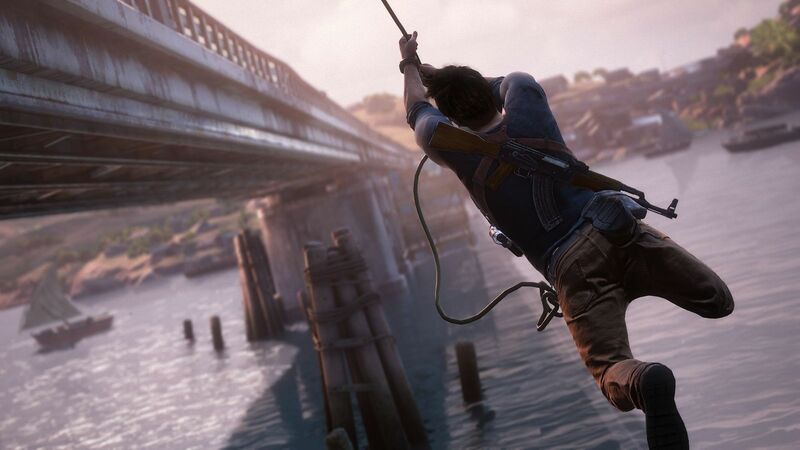 From jumping from truck to truck until finally commandeering a jeep to rescue Sam, the whole sequence is one of the Uncharted series's best and Naughty Dog should be commended for successfully accomplishing it. As stated in this week's Titanfall 2 review, the game's solo campaign is one of the finest first-person shooter campaigns in modern gaming history alongside DOOM's. It consistently throws at the player fresh concepts and challenges. One of the main pieces to Titanfall 2's gameplay comes from the varied amount of mobility players can use to their advantage not only through the forced platforming segments but in every encounter in the game. The notion of Titanfall 2 introducing a constant feed of fresh concepts is perhaps no better displayed than in mission five's three chapters. The overarching mission is known as Effect and Cause. The mission starts out quietly enough, but soon Pilot Jack Cooper finds something strange occurring as he explores a dilapidated city. Right before his (and the player's) eyes he sees on multiple occasions the ruins of the lab he's in turn into a clean and productive facility with human beings roaming about, casually going along with their business. This phenomenon is revealed to be a time distortion. Starting out, Jack can't use this to his advantage just yet, but by the second chapter of the mission's beginning, he pries a device of the arm of a fallen soldier who was tasked with investigating the area. Obviously he didn't come back from his assignment. 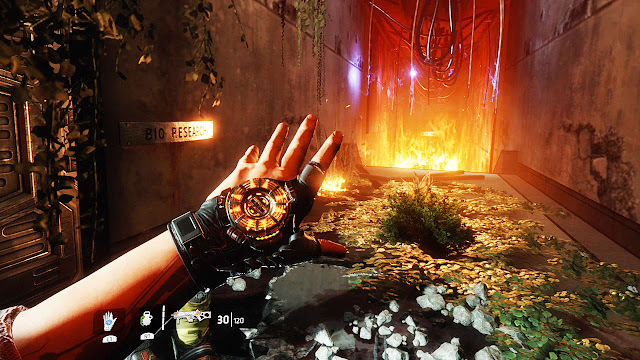 With this special device placed on his wrist, Jack gains the ability to switch between past and present as quickly as the player presses the front left shoulder button. This is used to great effect in not only creating clever environmental puzzles (like being able to enter a vent in the past that was covered up by a panel in the present) but also impressive platforming opportunities. Multiple times Jack will need to switch between past and present in midair, as in the past there's a wall to run along on the left-hand side of the chasm while in the present there's a wall to run along on the right-hand side of the chasm. Switching between the two time periods as he makes each of his jumps enables Jack to make it across the abyss with success. Then, there are enemies that appear in the past, human soldiers, that don't appear in the present, where vicious and hungry beasts lurk, ready to slash and strike Jack Cooper down in no time flat. 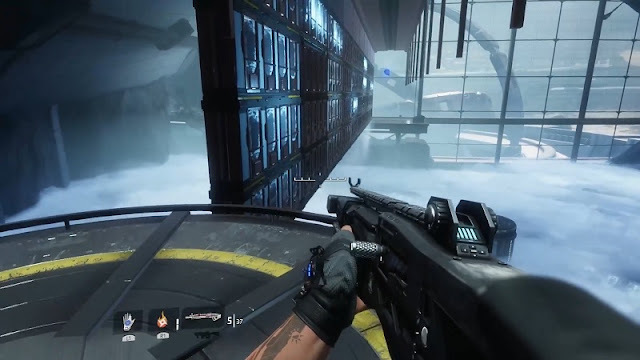 Effect and Cause isn't the first mission in the game that requires the player to have proficiency when it comes to running off wall to wall over an abyss, but it is the first and only mission to use instantaneous switching between times in such a clever way that it makes for one heck of an interesting and entertaining level. Shifting gears to more lighthearted fare, Super Mario 3D World may not be the sandbox-styled Super Mario game that gamers experienced with Super Mario 64 and Super Mario Sunshine, but it is an amazing platformer all the same, especially with friends. The levels of the game are much more linear than what was found in earlier 3D Mario games, so the design is more akin to a 2D Mario. However, all the levels have plenty of opportunities to explore off the beaten path, usually to find one of a level's three invaluable Green Stars or even a well-hidden Stamp. 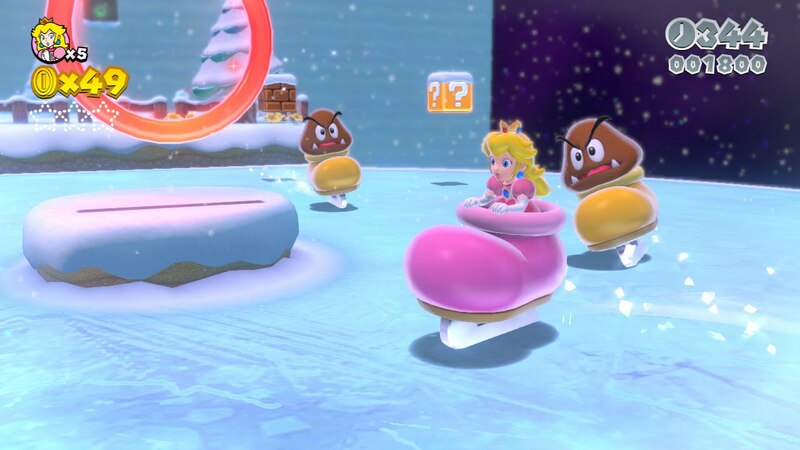 With us North Americans deep within the winter months, it seemed like a pleasant time to delve into one of the most glorious levels in Super Mario 3D World, which conveniently enough, happens to occur in a winter wonderland. 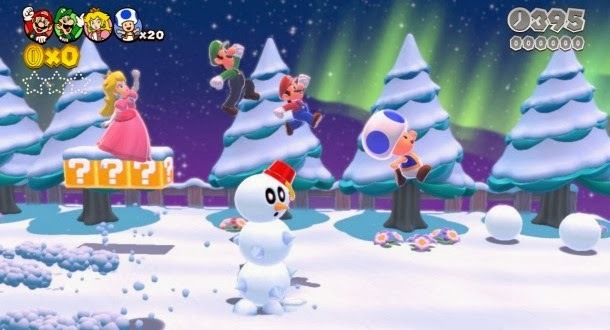 The start of the third world of Super Mario 3D World, Snowball Park, isn't a particularly lengthy level, but what it does possess is plenty of winter fun for all. Right from the get-go you're introduced to a wonderfully winter landscape, fresh with heavy snow as well as huge snowballs that can be picked up and launched into enemies to eliminate them immediately. Large patches of ice are planted throughout the level to lower the traction on any would-be runners. 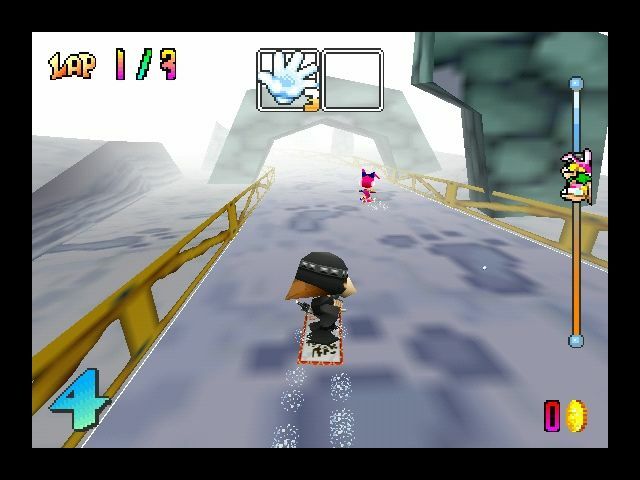 However, the second half of the level helps players out with an insanely cool mode of transportation. Perhaps making a callback to World 5-3 in Super Mario Bros. 3, the Goombas slide around the ice as if they were skaters at Rockefeller Plaza in giant ice skates of various colors. Just like with Super Mario Bros. 3's Kuribo Shoe, jumping on a Goomba's head will defeat it, relinquishing its control of the super-sized ice skate to you if you so desire to commandeer it. With it, you can skate and zoom around the ice without fear of slipping or sliding into one of many bottomless pits. Having a full crowd of four friends zipping along the ice together in four different full-sized skates is a truly remarkable and unique part of Super Mario 3D World, and it and the level design in general make Snowball Park one of the most unforgettable levels in the game. A 2D platforming mainstay since the early days of the genre is the auto-scrolling stage. That is the exact type of level that the secret level of Yoshi's Woolly World's World 3 is. Not only that but there is nary a batch of solid ground to work with at all! Most of the time Yoshi needs to ride the exhaust clouds of the titular Woollet Bills, making sure not to defeat the actual enemy itself, or else there will be no trail of exhaust to run along. In Woollet Bill's Last Ride, you're in a constant state of rushing, especially if you plan to go for 100% completion for the level. From Monty Moles that occasionally fall into play from popped bubbles that float in the air to donut lifts that require enough time and weight for them to fall, Yoshi is seemingly always needing to hurry up or he'll either get crushed or fall into the great abyss below. The platforming challenges only get more insane as Yoshi needs to avoid the paths of other Woollet Bills, whose exhaust trails conveniently carry bothersome Monty Moles to cause nothing but the ruination of a promising run, or have giant clouds pop their heads in on the level, causing damage to Yoshi if he doesn't launch a yarn ball to them before it's too late. Even with the frustrations that can come for first-timers on this level, Woollet Bill's Last Ride from Yoshi's Woolly World and most recently its Nintendo 3DS port, Poochy & Yoshi's Woolly World, is never an unfair challenge. It does take quick thinking and fast feet, but it's an enjoyable platforming trial in a game that can really be relaxing sometimes and crazy challenging other times. With The Legend of Zelda: Breath of the Wild, the latest in the Legend of Zelda franchise hitting the Switch and the Wii U two weeks from today, it's a good time as any to talk about a truly special dungeon from the early days of the series. Link's Awakening was the first portable entry in the series, and since then, we've seen a multitude of handheld-only adventures starring the hero in the green tunic. 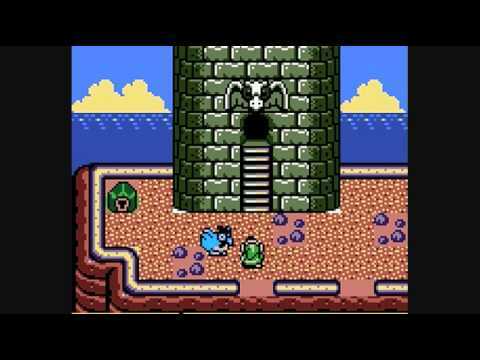 A lot of dungeons in the 2D games have an aura of memorability to them, and Link's Awakening abides by that opinion. 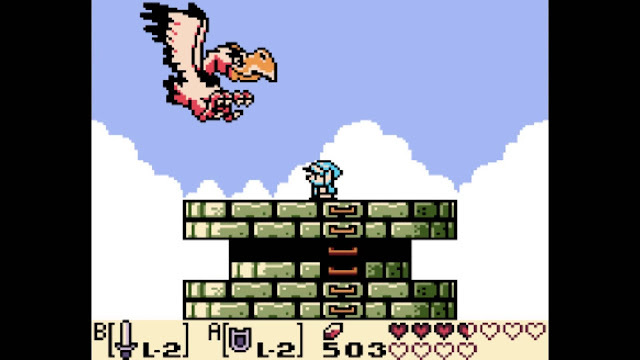 Nonetheless, what stands out for me as the most memorable dungeon in the game is Eagle's Tower, the seventh dungeon in Link's Awakening. This multi-tiered tower is special for two main reasons for me. The first is that it has an overarching puzzle to it. 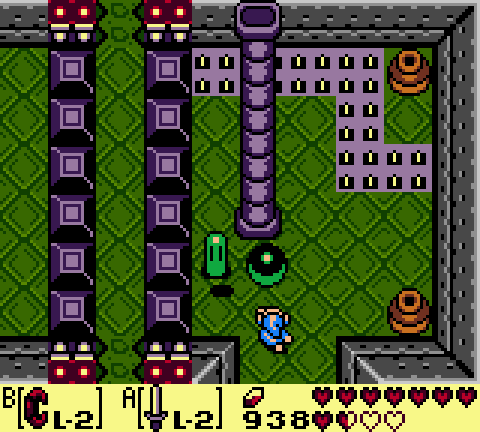 Nearly every other dungeon in the game has puzzles limited to just one room, while in Eagle's Tower, the main puzzle takes place in multiple rooms. This concept of an overarching puzzle in a dungeon would be a major one in the coming 3D Zelda games. The puzzle requires players to pick up an iron ball and throw it against the tower's four pillars. It's not just about figuring out to throw the various iron balls into the pillars (which is something that the player needs to come up with on their own), but it's also about figuring out to transport an iron ball from its starting location to the pillar it needs to destroy. Through damaging all four pillars, the previously inaccessible floor on top will fall down, revealing the way to the boss. The boss of Eagle's Tower is the second reason the dungeon is special to me. The boss, a giant eagle (what a surprise, right? ), has its battle taking place on the top of the tower in a 2D plane, similar to the basement sections of Link's Awakening's various dungeons. The fight is one that requires timing with the Roc's Feather to leap over the eagle as it zooms by, intending to collide with Link. The whole setting of being on top of the tower and the fun of facing off against the boss make the conclusion to Eagle's Tower magnificent. Thus, the whole dungeon is quite special. Another week brings another trailer of Mario Sports Superstars. This week it's the horse racing sport's turn in the spotlight, showing off the racing gameplay as well as how to take care of your horse. Mario Sports Superstars releases next month only for Nintendo 3DS. Fresh off the heels of Yoshi's friendly relationship with Poochy comes a different kind of friendship: one between human and titan in Titanfall 2. The game has been out for several months, but now it's SuperPhillip Central's chance to cast a verdict. 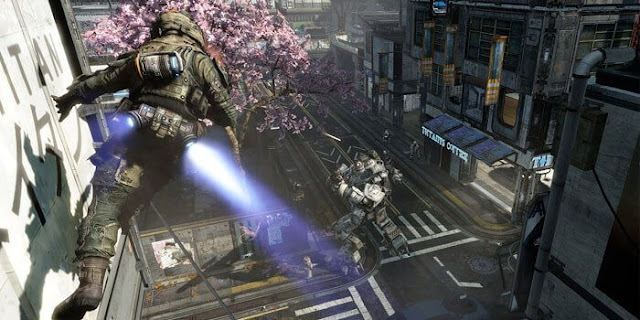 The original Titanfall was an impressive beast of a multiplayer game that unfortunately suffered due to corporate politics-- in particular, Microsoft getting an exclusive deal from EA, making the original exclusive to the Xbox brand. However, now Titanfall 2 is a brand-new entity, no longer just stuck to Xbox, supporting an improved multiplayer package that will keep players coming back for more, as well as something completely new-- a single-player campaign. Thankfully, both the multiplayer and the all-new single-player campaign make Titanfall 2 one of the most impressive first-person shooters on the market today. The campaign features the story of a relatively inexperienced rifleman named Jack Cooper who gets the honor of being mentored and trained by one of the most notable titan pilots in the military force opposing the evil IMC. When his mentor gets taken out in battle, in his last moments he relinquishes control of his titan, BT, over to Jack. Throughout the game, Jack and BT establish a rapport. Some humor even comes about in Titanfall 2's campaign which is a nice change of pace compared to all of these modern shooters, particularly military ones, that take themselves way too seriously. There will be moments where Jack will say a turn of phrase, such as after a particularly fierce battle on Typhoon where he says he's on a hot streak. BT, the dry sentient being it is becomes confused by this, saying that Jack's body temperature is perfectly normal. These small moments give the campaign some character, and I found myself enjoying them even when I didn't really care about the overarching story. The moment in Titanfall 2's campaign where Rifleman Jack Cooper and BT first meet. The campaign itself isn't that long to experience (taking anywhere between 5-7 hours the first time through with optional collectibles to find), but at the same token, it doesn't outwear its welcome... well, for the most part. I must say that something that does outwear its welcome are the scenes within the game that have you unable to speed through dialogue or a particular story sequence. They have you either stuck in a static position able to look around, or have you able to move around while the story sequence unfolds. These happen all too often throughout the campaign. They're fine the first time through, but on repeated play-throughs they just become tedious. However, that issue is the only big problem with Titanfall 2's campaign. They're sort of worth it in an essence because what you get to do in the campaign is a lot of fun. This is due to the level of mobility that Jack has a pilot. In the campaign, you start off learning the basics of wall-running-- dashing forward, jumping at a wall at an angle, and then rushing along the wall to jump to the other side of a chasm, for instance. By the end of the game, you're expected to leap from wall to wall, dodging hazards, and taking out foes during your feats of acrobatic excellence. 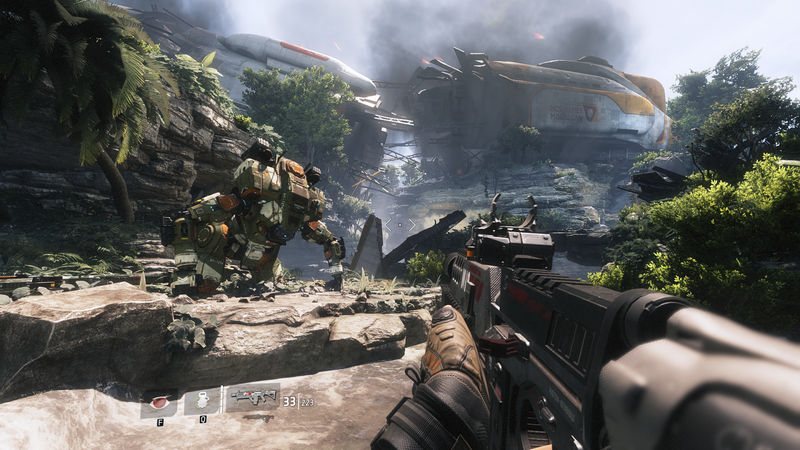 The movement possibilities in Titanfall 2 make for multiple layers of available strategy. A fantastic part of Titanfall 2 is how the developers constantly throw new mechanics and things into the campaign to keep things from growing stale. One level has you riding through a factory of sorts that manufactures houses. You ride on platforms to designated stops where enemies await to ambush you. Then, you hop onto the next platform to another stop. This process repeats itself until the platforms form full houses, taking you deeper inside the facility. Another notable part of the campaign has you using a specific tool to activate mechanisms that open doors as well as move platforms into position for you. There's one section where you need to activate platforms in midair to move them in position to either run or wall-run on them. If you're too slow in doing so, your "reward" is falling into the abyss below. A late mission in Titanfall 2's campaign has you bringing the fight to the enemy while in BT. Thankfully, Titanfall 2 is quite generous with its checkpoints. Seldom will death ever mean you have to redo a significant portion of a level. Instead, it usually means you just have to start your current firefight or platforming section over again. Besides running around levels as Jack Cooper, there are many times where you'll be piloting his titan BT. You always have the ability to dismount and mount into BT during any occasion, but in battles against other titans, you probably don't want to take them on solely as Jack. During the campaign, BT acquires new loadouts that can be cycled through with the press of the right direction on the D-Pad. These range from loadouts where BT's primary weapon is a machine gun, one where he can lock onto enemies and fire homing missiles at them, and also one where BT can launch a ball of fire to create an eruption on the ground to slowly but steadily deal damage to foes. Each loadout has several offensive and defensive abilities to it, and some are more useful than others. Talk to the hand because the chassis don't understand. 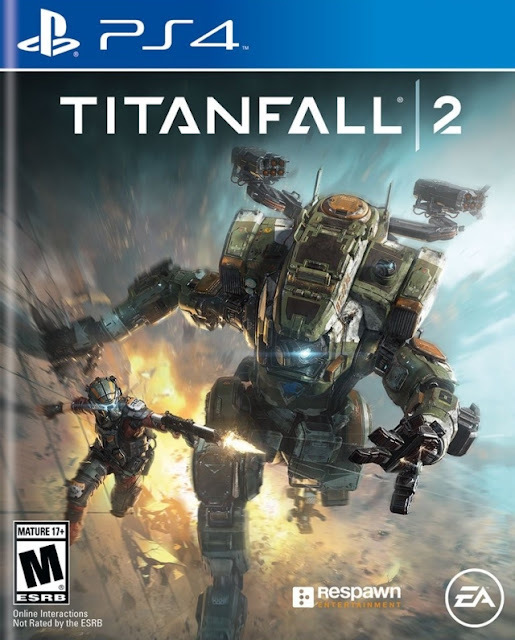 Other than taking on typical enemy titans, in specific parts of Titanfall 2's campaign, Jack and BT will face off against a boss titan, a member of a mercenary group that is serving the IMC for the good of their wallets. Each encounter begins with a quick introduction of the merc opening its titan's cockpit hatch to reveal themselves to Jack and BT and give each some semblance of character before the battle begins. Each encounter takes longer than a typical enemy titan would as they have bigger health bars, but overall they're almost just as easy to dispatch as any other titan. The real takeaway from each boss titan is their personality and design, which is unfortunate. 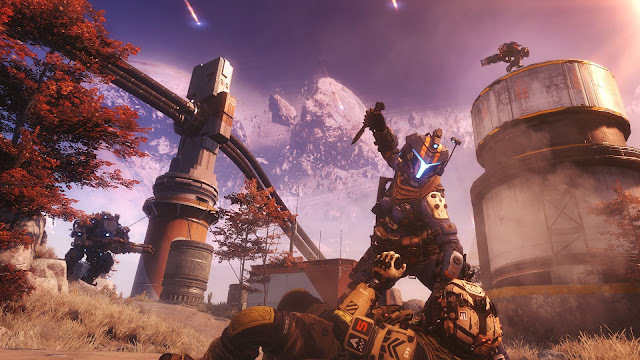 While you will most likely enjoy Titanfall 2's campaign, the part of the game you'll be returning to again and again long after finishing off the story is the multiplayer. 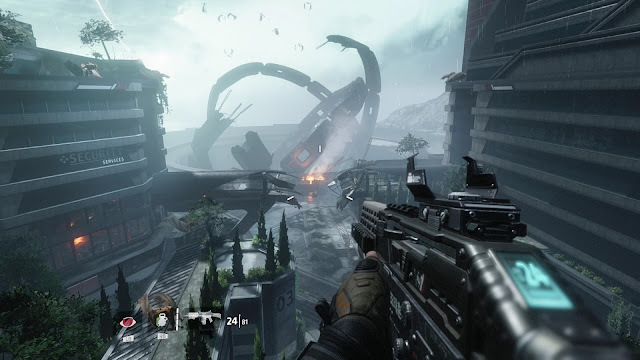 The original Titanfall suffered from a lack of mode variety. Fortunately, Respawn took the criticism from players to heart, giving Titanfall 2 a multitude of modes and lots of variety in them. One of the best things I love about Titanfall 2's multiplayer other than how fast it is to get back into battle after dying is that the movement found in the single-player campaign is just as wonderful in the multiplayer. It's a blast to chain jumps together, sprint, and slide through maps to discover the best routes to get back into the action or to temporarily retreat. There is a tremendous amount of skill found in doing this. Another terrific part of Titanfall 2 is how the game balance has been altered from the original's multiplayer, and it has been altered for the better. One means to balance Titanfall 2's multiplayer is that titans no longer have the ability to regenerate their shield. You can just take damage and then rush out of the storm of battle to some safe corner of the map to regenerate health. Instead, each shot you take deals permanent damage to your titan. Even a one-man army who strategically picks and chooses his shots can take a titan down with enough patience and skill. This makes it so titans are much more valuable to have and important to keep in battle. Yes, they're powerful machines, but losing them can be the difference between victory and defeat. Titanfall 2's multiplayer features an abundance of modes. The more original of these include Attrition, returning from the original game. This signature mode has eight players on each side taking one another out as well as the occasional AI reinforcements to score points. Titans can be called into battle when specific conditions have been met, making this mode one of the most popular and also one of the most enjoyable. Additionally, there is a brand-new mode in the form of Bounty Hunt. Here, players destroy AI enemies in both humanoid and titan form as they simultaneously take one another out. Kills earn money for each player, which is then banked between waves. Hoarding your money isn't the best strategy, as being defeated by a foe gives half of your money to them. Bounty Hunt is an interesting addition to the Titanfall 2 multiplayer experience. 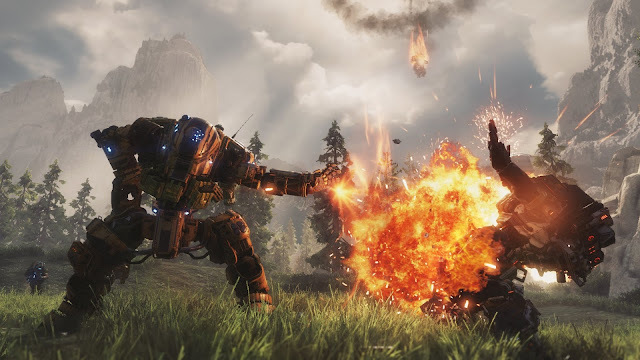 The other multiplayer modes in Titanfall 2 basically check the boxes of what is to be expected from any first-person shooter's multiplayer offerings. You have deathmatch in both team and free-for-all varieties, and Titanfall-themed pilots-only and titans-only battle modes. There is plenty to sink one's teeth into in Titanfall 2's multiplayer, and that incentive to play continues with the awards system that constantly earns you experience points that when you reach new levels, gives you new unlockables for use in the multiplayer like new weapons, titan loadouts, cosmetic goods, and much more. 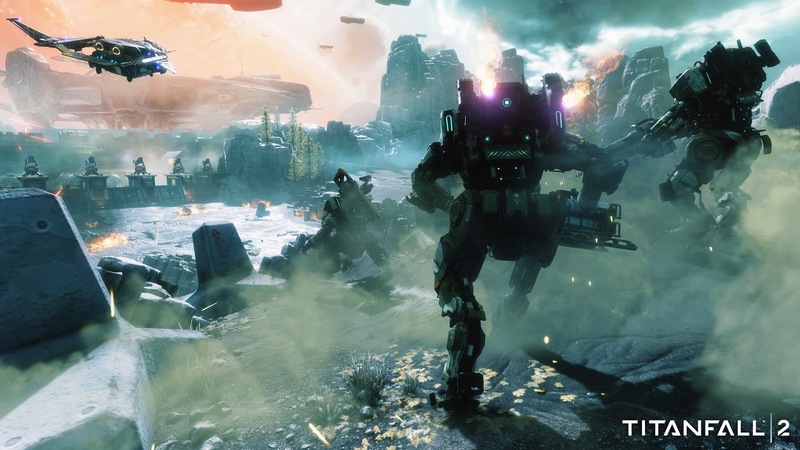 Titanfall 2 greatly improves on the multiplayer foundation created in the original while adding a single-player component that is one of the greatest first-person shooter campaigns in recent memory alongside, of course, DOOM. The constant feed of unlockables and awards in the multiplayer as well as the sheer fun of the mobility options in the game make for a shooter that should keep players coming back for more day after day, and maybe even months from now. Happy Valentine's Day, everyone! While you and yours share this romantic day of the year, the rest of us will look on, being bitter and feeling loathsome. ...Or is that just me? In all seriousness, SuperPhillip Central shows its love to our readers both longtime and new with a new review for a Nintendo 3DS game that released early this month, Poochy & Yoshi's Woolly World. While not the most notable video game pairing around, both Poochy and Yoshi have been through thick and thin together and in multiple adventures. This particular adventure may just be their best! Find out with the SPC review. One of the most adorable and cherished 2D platformers on the Wii U was Yoshi's Woolly World, a game coming off developer Good Feel's Wario Land: Shake It! and Kirby's Epic Yarn, which the latter Yoshi's Woolly World was very much inspired by aesthetically. The Wii U release of Woolly World did rather well, but there's no doubt that sales were undercut by the fact that so few owned a Wii U. 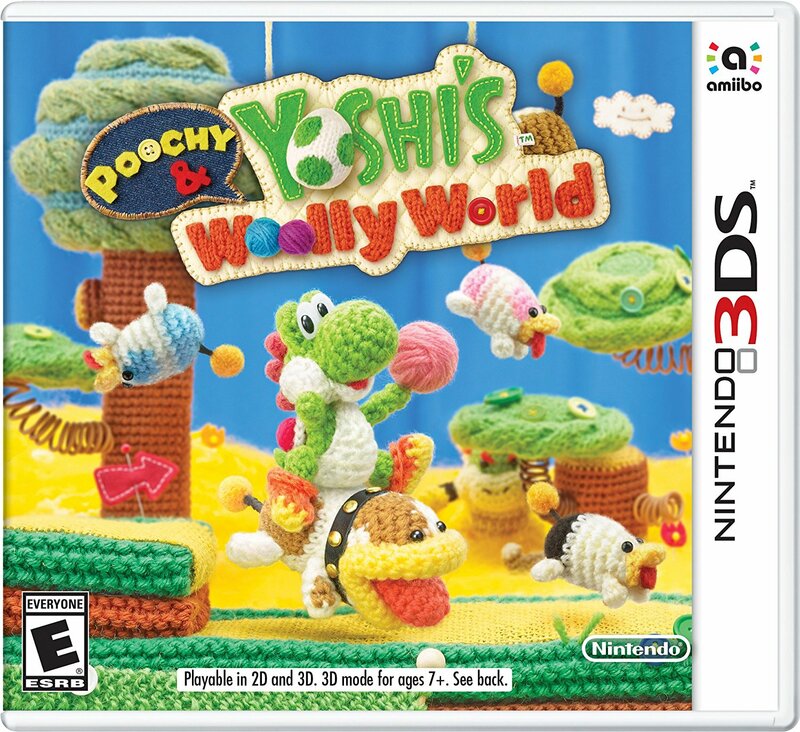 Now, Yoshi's Woolly World receives a second chance with a Nintendo 3DS port and Yoshi's Island's Poochy in a co-starring role! The game is Poochy & Yoshi's Woolly World, and it remains as stupendous and creative a 2D platformer as the original Woolly World was on the Wii U. If you've played Yoshi's Woolly World on the Wii U, then you might wonder what is new here in the Nintendo 3DS version to warrant a second play-through or even purchase. 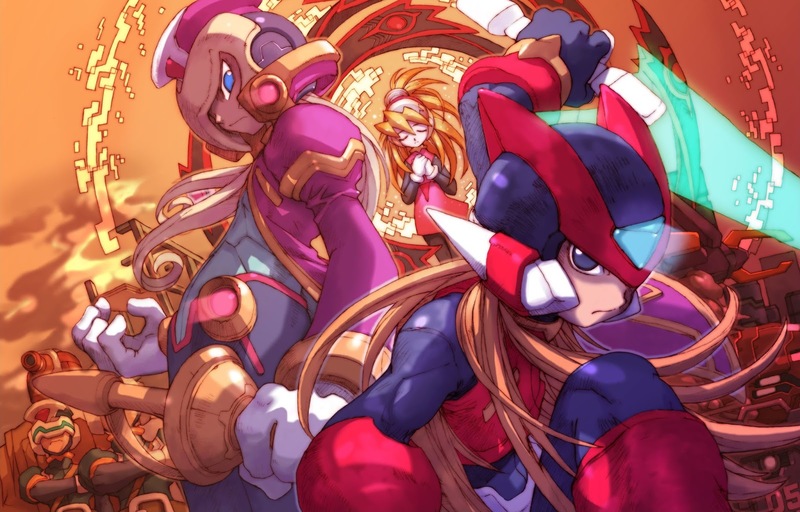 Well, there really isn't too much to mention that is highly desirable, and something that was worthwhile on the Wii U version, co-op play, is completely absent in this Nintendo 3DS version. Also, the world map that was a 3D affair and able to be freely traversed in the Wii U game is now devised up of a 2D linear one due to the lesser power of the Nintendo 3DS. Though obviously downgraded, Yoshi's Woolly World looks and runs beautifully on the Nintendo 3DS. Regardless, new additions include unlockable Poochy levels where the adorable dog automatically runs through all-new levels, requiring you to jump, bounce off the heads of enemies, collect beads, bust balloons, collect Poochy pups, and a myriad of other tasks. 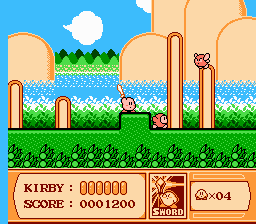 Levels are unlocked by beating the fourth level of a given world. Once you successfully reach the goal in a Poochy auto-runner level, you unlock three objectives to try to complete, such as busting three balloons, collecting 1500 beads (usually requiring a near-perfect run to do so), and a level-specific task. The Poochy amiibo that comes with some version of the game unlocks a little more in the way of content as well. Additionally, Poochy & Yoshi's Woolly World features the ability to use amiibo to unlock special paint jobs for Yoshi much like the original Wii U game. The Nintendo 3DS version supports new amiibo such as seen with the Kirby series of amiibo as well as Wolf Link, Ryu, and other amiibo that released after Yoshi's Woolly World's initial launch. The Nintendo 3DS version sports the ability to create your own custom designs to be used in the game, but unfortunately, these designs can only be shared through StreetPass. Poochy and Yoshi, together again! That isn't all of the new content available in the game either. 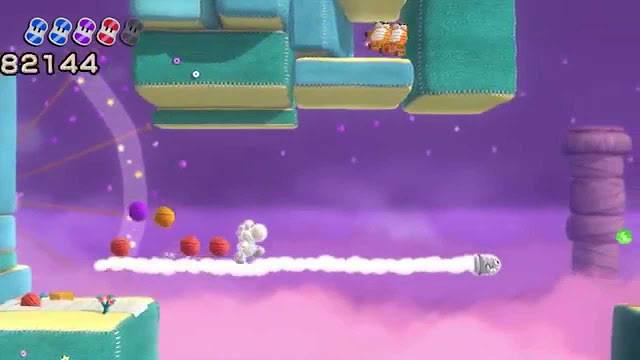 Mellow Mode sees Yoshi wearing a pair of wings, allowing beginning players to enjoy the game. Joining Yoshi in Mellow Mode is a series of Poochy pups that not only take care of enemies, but also help in finding collectibles. An issue many had with Yoshi's Woolly World was how difficult some collectibles could be to discover, as many were found in hidden cloud bubbles that would only appear if Yoshi jumped into the space where they occupied. The Poochy pups assist with telling the player where these are. If you don't prefer to play Mellow Mode, then the Classic Mode as seen in the original is in the 3DS game. You just won't have the luxury of the Poochy pups finding hidden collectibles, though there is an item you can spend beads on to make these aforementioned cloud bubbles appear. There's no time to stop and smell the magma with a red hot Blarrg on your trail. Finally, the last addition to Poochy & Yoshi's Woolly World is a collection of short clips featuring Yarn Yoshi and Poochy getting involved with all sorts of adorable hijinks. Some of these are quite humorous while others do fall flat. It does stink that you can only unlock one of these short clips a day, which for a game like Yoshi's Woolly World, you don't really have a need to go back to it daily, especially after you've long beaten the adventure portion of the game. For those who have never played Yoshi's Woolly World, you're in for a mighty neat surprise. Not since the original Yoshi's Island back in 1995 has there been an adventure starring Yoshi that is anywhere near as good. In many respects, I'd say Yoshi's Woolly World is a more favorable game. For instance, Yoshi's Island was a stressful platformer at times if you wanted to 100% every level because you needed to collect everything and have full health for each level. 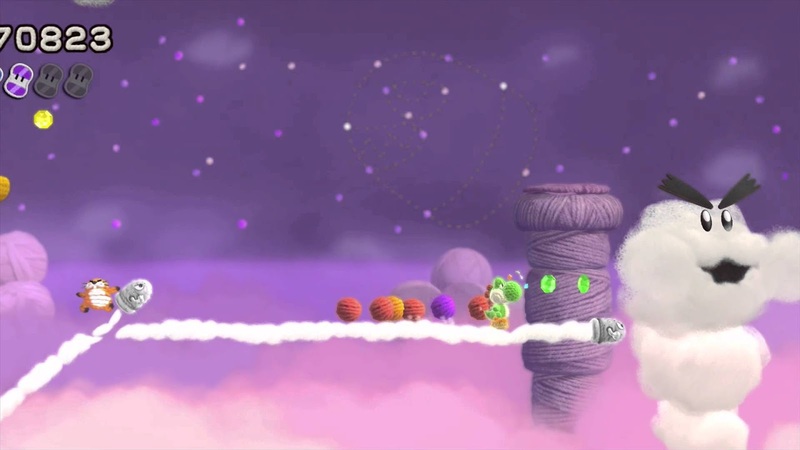 In Yoshi's Woolly World, you don't have to do everything at once to fully complete a level. Instead, everything you collect is saved, meaning that if you collect the first and fourth of five flowers in a given level and then redo that level, you'll have those flowers already collected the next time you play that level. It makes for more relaxing and fun experience, at least for me. Be on the lookout for special collectibles like these Yarn Spools that unlock new Yoshi patterns. In addition to flowers, there are five spools of yarn in each level, 20 special beads that serve a similar role to Yoshi's Island's red coins, as well as an optional goal of having full health at the end of each level. Thus, there are four requirements to fully completing a level. Sure, you can just run through levels rather easily, but you'll only be spoiling the Yoshi's Woolly World experience for yourself. 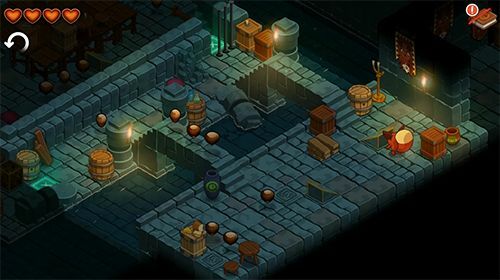 The real admiration to be found in the game's level design comes from fully exploring each level for hidden collectibles and goodies. planes, and even what I like to call... "Yoshzilla"! There are six worlds to be found in Yoshi's Woolly World, and each features eight normal levels and an aforementioned secret level for that world, unlocked by collecting every flower in each of a world's levels. The fourth and eighth levels are fortress and castle levels, each concluding with a boss battle of some type. The fourth levels switch between facing off against a giant Monty Mole or a giant Red Parakoopa creature each world, but thankfully the battles aren't the exact same each time. Meanwhile, the eighth level of each world is a wholly unique encounter. Yoshi will face off against a fire-breathing dog, a giant ice block-spewing Snifit, and even a colossal-sized Piranha Plant that many fans of past Yoshi's Island games will readily recognize. These fiery pups must have heartburn up the wazoo. Yoshi sports a great deal of his familiar moves from Yoshi's Island. In Yoshi's Woolly World, many of these are given a woolly twist. For instance, instead of launching eggs at enemies, Yoshi launches yarn balls, which can ensnare and entangle enemies temporarily in a prison of string. Yarn balls cannot only be used on enemies, but special platforms can be created by using some yarn on them. The familiar ground pound is present in Woolly World, but this time Yoshi restitches himself into a hammer as he slams into the ground. Small touches like this and Yoshi developing wheels when he dashes for a long time make for an even more appealing game. The lovely craft aesthetic of Yoshi's Woolly World is maintained throughout the game. From Yoshi using his tongue on a loose string attached to a wall to unwind it, revealing a secret alcove, to having a volcano in the distance have a winding red and orange scarf serving as its lava, the attention to detail and the amount of creativity in pushing the craft aesthetic are truly amazing things. Yoshi's tongue can unravel Shy Guys and quickly wind them up into ammo-- balls of yarn. While the Wii U version of Yoshi's Woolly World sported a steady 60 FPS, you'll get a different experience depending on what type of Nintendo 3DS you're playing Poochy & Yoshi's Woolly World on. Non-New Nintendo 3DS systems play the game in 30 FPS while the New models play it in a full, impressive 60 FPS. Sure, Poochy & Yoshi's Woolly World's visuals are obviously downgraded compared to the Wii U game, but the game truly looks astonishing running on New 3DS hardware. It just goes to show that a pleasant art style trumps all. Meanwhile, the music is as catchy and wonderful as ever, even sporting some new tunes in this 3DS version. All in all, it's amazing what the developers were able to do with the 3DS version of Yoshi's Woolly World. If you've already played Yoshi's Woolly World on the Wii U, then having a version of the game on-the-go might not be worth picking up the 3DS version of the game. Yes, there are some nice additions that make Poochy & Yoshi's Woolly World worthwhile, but for many, they won't be enough to buy or play the game again, especially with the omission of co-op play. If you're like me and just wanted an excuse to play Yoshi's Woolly World again but this time in portable form so you can play anywhere you want, then that alone might make Poochy & Yoshi's Woolly World worth it just like it was for me. Either way, if you have yet to play any version of Yoshi's Woolly World, definitely do so, as a platformer this charming, this clever, and this adorable doesn't happen every day.